George Coppin was the perfect migrant Australia needed in its early years of European settlement. The life journey that began on 8 April 1819 at Sussex in England, when it ended on 14 March 1906 in Australia, the milestones he passed were exemplary. Born to a father who left his medical profession to become a theatrical manager, Coppin’s future was etched in his blood from birth. Coppin at an early stage showed a liking for theatrical work and when quite a young boy, played in orchestras in his father’s theatres. At the age of 16, he freed himself from his parents control to make a name for himself and by the age of 18 he was a stage manager, actor and a violinist in London’s Woolwich theatre. In Dublin, acting for the Abbey Street theatre, he formed a close relationship with American actress Maria Watkins Burroughs, nine years older than him. They decided to leave Europe for America or Australia, America being the preferred destination for Maria. The toss of a coin decided their future destination and Australia was that lucky country. His Australian Career begin at his arrival in Sydney on 10th March 1843. Shortly after arrival, he arranged to appear at the Victoria Theatre upon a share of the profits and frequently earned upwards £50 a night as his share of the takings. He made a little fortune by acting but lost it all in a hotel he purchased – a business misadventure of the inexperienced. He left Sydney empty handed for Hobart. For the rest of his life, he followed this pattern – whenever he made money in Stage, he lost it all in business immediately after. He made his first appearance in Hobart Town on 5th of January 1845. After a successful season, he commenced management in Launceston on 3rd of March 1845. He made the bold experiment of taking along a company of 12 performers, a scene painter and five musicians with whom he presented the play, Lady of Lyons at Queens theatre in Melbourne on 21st June 1845. He leased the Queens Theatre for a year and had successful runs of “Four Sisters” and “Turnpike Gate”. With the profit he built a theatre in Adelaide in five weeks by converting the billiard room of the Temple Tavern at Gilles Arcade, into the New Queen’s Theatre capable of holding 700 people. He built another in Port Adelaide. In 1848, his long-time companion Maria Watkins Burroughs died after a brief illness, aged 38. He made a large fortune in Adelaide but lost it in Copper mining in Victoria. He had gone through the insolvent court and then returned to Melbourne with the permission of the creditors and went to the Goldfields of Victoria without any money in his pocket. Within two weeks he left the Goldfields, but without Gold and started a star engagement and commenced management in Geelong in 1852. He again made a small fortune entertaining the diggers. Coppin retired from Management and visited Adelaide. He invited his creditors for dinner and paid them 20s for each pound he owed and sailed to England in January 1854. In Birmingham, he met tragedian G.V Brooke and made engagements with him and other professionals to perform in Australia. He also had a pre-fabricated iron theatre constructed to bring to Melbourne. On returning to Melbourne, he in the first instance began playing a series of parts at the Old Queens Theatre, Melbourne on 18th December 1854. G.V.Brooke appeared at the same theatre on 26th February 1855 and laid foundation stone of the Olympic theatre on 18th April 1855. The Olympic theatre nicknamed “Iron Pot” was opened early in June by Wizard Jacobs. It was in this theatre that Brooke achieved some of his greatest triumphs. In August 1855 Coppin married Brooke’s sister-in-law, Harriet Hilsden. Brooke and Coppin entered into partnership. They purchased the lease of the Theatre Royal and also bought Melbourne’s first amusement Park Cremorne Gardens from W.P. Scott. They opened the first Grand opera season ever given in Australian Colonies with Anna Bishop, who attracted large audiences. But still the venture failed, Coppin loosing £3000. In 1858 Coppin entered politics. In April that year, he was elected to Richmond Municipal Council and in October elected to represent South Western Province in the Legislative Council. He broke up his partnership with Brooke in 1859 and Brooke took over the management of Royal Hotel and Theatre Royal and Coppin was left with the Olympic and Cremorne Gardens. Olympic was converted in to Melbourne’s first Turkish Baths by Coppin. Meanwhile Brooke and Theatre Royal were sinking deep into debt and Coppin settled the debts. Tragedy struck Coppin once again. His wife Harriet had died on September 1859 after their third child was born. In 1861, Coppin married Harriet’s 18-year-old daughter by a previous marriage, Lucy Hilden. By 1857, Coppin had already spent around £100,000 on Cremorne Gardens. Cremorne Gardens had almost everything an amusement park should have. Its menagerie had tigers, lions, elephants, camels and other wild animals. Coppin was credited with bringing Camels in Australia for the first time and also for breeding lions in Australia. Cremorne Gardens had a stage where plays and pantomimes were acted nightly and a dance hall with brass band playing in the rotunda. There were two hotels within the grounds. It had once a year, day and night fair which ensured every kind of fun for every kind of taste. It was from here that the first balloon made its ascend from Melbourne . Coppin brought out two astronauts from England, Captain Dean and Professor Brown who made regular ascends in balloons. But the venture was draining Coppin’s resources quicker than he anticipated. In 1863 the Gates of the Cremorne closed for the final time. Coppin built Haymarket theatre situated close to the eastern market in Bourke Street and was opened on 15th September 1862. In the following year he bought out the talent of Mr and Mrs Charles Kean and they starred in pieces at the new theatre. Coppin then renovated and rechristened the House and it became Duke of Edinburgh Theatre. It continued empty for week after weeks until it was burned to ground at the end of 1871. In the mean time he had once more taken over the Theatre Royal after a brief visit to America and later he made a distinct success when he introduced Mr and Mrs Charles Matthews. In 1872, Royal was destroyed by a fire, but within four months Coppin had built another theatre in the site. in 1874 he was chosen for Victorian Legislative Assembly for South Melbourne. 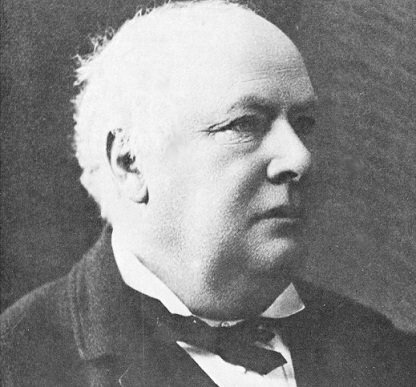 He introduced the Torrens Act and the Saving bank act into the legislative Council. He opposed payment for members and practised his gospel by distributing his parliamentary salary of £300 among charities. Coppin is credited with many achievements and there are not many, who can beat him in that respect. He was the one first introduced Camels into Australia for his Cremorne Gardens. He promoted such ventures as roller-skating, ballooning and amusement parks as well as getting involved in paddle steamers, horse racing and mining. He was twice elected to Victorian Legislative Council and was also a member of the legislative assembly, a councillor of the Richmond municipality and twice its Mayor. He was one of the founding members of Sorrento, the site of the first attempted settlement and was a bank director and founder of Dramatic and Musical Association. He is also credited with building six theatres in Australia and was instrumental in bringing around 200 artists from England and America to Australia. He was the originator of Gordon House institution which at first intended to house homeless. Coppin also served as the director of the Commercial Bank in Melbourne and of the British and Tasmanian Iron Mines. He was also the Chairman of the Ocean Amphitheatre Company, Continental Hotel Company and the Purveyors Association. He was behind the Sorrento Steam Navigation company by which he introduced the S.S. Golden Crown to Victorian Waters to provide cheap excursion down Hobson Bay for the recreation of People. He also held honorary positions like the Director of the Richmond Free dispensary and the Vice Chairman of the Old Colonists Association. George Coppin, the Great Australian passed away on 14th March 1906 at the age of 87 years.